Respecting and preserving the environment are two priorities that Levantina (Granite & Techlam supplier to Church Kitchens) is firmly committed to. To do so, they go beyond mere compliance with current medioambiental regulations and invests strongly and periodically to fulfil to preserve our environment. In this sense, Levantina utilizes the most advance technology in the block extraction process, mainly based in using diamond edge strands and water. They also have an ongoing research program to this effect and implement environmental actions, such as water treatment and recovery plants, recycling materials, sludge, etc., constantly. Also, they allocate significant technical and economic resources to ecological restoration of the environment, both by applying vegetable earth mulch to exploitation’s and by replanting sites with native plant species. Granite is an igneous rock of unparalleled beauty and individuality, evoking the extraordinary forces of nature involved in their creation. It is one of the hardest and most resistant of natural materials . It is also easy to maintain, completely recyclable and has a low environmental impact compared to other substitute materials. COMPAC, THE SURFACES COMPANY, is the leading company in Spain marketing high quality decorative surfaces. Founded in 1975, they were the first Spanish company specializing in the manufacture and distribution of marble and quartz surface coverings. Today they are a large multinational with 100% Spanish capital that has learned how to grow while preserving their flexibility and independent decision-making spirit. TECHLAM® is a porcelain slab, only 3 mm thick and 7.1 Kg/M2 weight, and can be cut up to 1000×3000 mm in panels. These excellent characteristics make it a product capable of providing original solutions for all kinds of construction requirements. It is a new practical concept aimed at materializing your most ambitious projects. Its versatility in size and colour, possibilities for combining with other materials and technical specifications regarding durability, hygiene and flexible fitting make this material a reference for an endless array of applications. 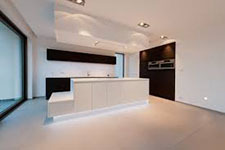 Its use is extending to interior walls and floor coverings. 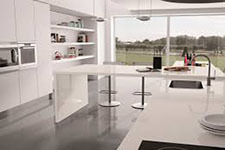 Silestone® was invented in 1990. It is a product that brings together the best of natural stone and manages to improve it even further. 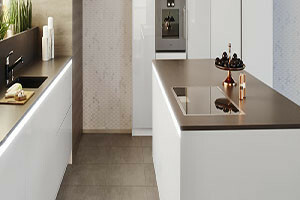 Silestone has made an undeniable leap forward that gained the immediate recognition of professionals and end users. 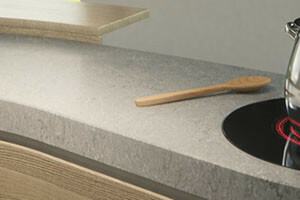 It has been so successful that the antibacterial, quartz worktop has become a unique category within the brand. Church Kitchens can also form your sink from Silestone ensuring your kitchen is of the highest standards when it comes to smooth looks. 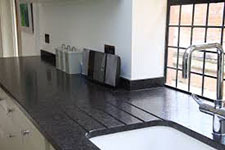 Laminate Worktops – At Church Kitchens SL we have an extensive range of Laminate worktops in 32mm and 40mm with 5 different colours in held in stock. For our in stock prices please look at our Kitchen Express Price List. 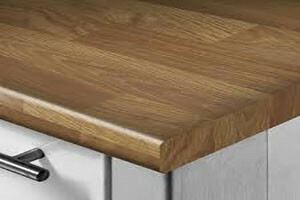 Or click on the photo to see a small selection of our Laminate Worktops.